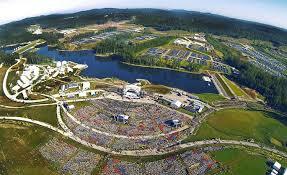 The 24th World Scout Jamboree will take place at the Summit Bechtel Reserve, in West Virginia, USA. The site hosted BSA’s National Jamboree in July 2017 and this will be the first time that it hosts a World Jamboree. Read more about the venue and all it has to offer here. Participants at the 24th World Scout Jamboree will have the opportunity to participate in a number of exciting and challenging activities, including the world’s longest zip-line and largest man-made outdoor climbing facility, over the 10 days of the event! Visit the 24WSJ website to find out more or watch this to see what activities you can look forward to! 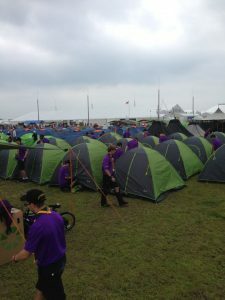 Participants at the 24th World Scout jamboree will camp as Troops within one of four designated sub-camps spread across the venue. 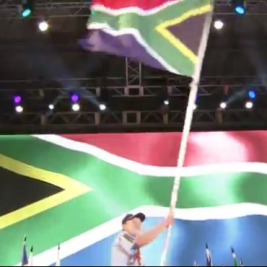 Sustainability is an important pillar of the 24th World Scout Jamboree and the Summit. Participants will get to take part in various sustainable initiatives around energy, water, materials and habitat conservation. Click here for more info or watch this! One such project is the “Sustainability Treehouse” which gets its energy from solar and wind power! The Sustainability Treehouse won the 2013 Honors Award for Washington Architecture, received the highest level of recognition in 2013 for the Society of Environmental Graphic Design, and was a Top Ten award winner by the American Institute of Architects Committee on the Environment! 24 WSJ participants will get to visit it!